Chelsea travelled to the Etihad Stadium to take on Manchester City in the Premier League looking to secure their first win on the road this year. The Pensioners began the match poorly and conceded in the 4th minute when Raheem Sterling scored from close range. The away team were not up to the challenge as they ended up conceding five more goals during the game which will see them return to West London with their tails firmly between their legs. The match ended with a 6-0 scoreline in favour of Man City which summed up Chelsea’s catastrophic outing in Manchester. Let’s take a look at how each Chelsea player fared during the match against the Citizens. He could have done better in at least three of Man City’s six goals on the day. It was a day to forget for the Spanish keeper. The Spanish full-back had a torrid time dealing with Raheem Sterling’s pace in the first half. He was completely rattled by the dominance of the Man City attackers as the occasion got the better of him. The German showed some grit during the contest, but it was not enough to redeem him from some of his poor decision-making in the first half. The Brazilian defender failed to deal with the threat of Sergio Aguero. He was all over the pace while defending inside his own box and was caught ball-watching at times during the contest. He needs to be dropped soon as his performances are getting worse with each game. The Spaniard lacked the effort to get back and help out in defence which is unforgivable for a left-back. His desire to attack has often seen him play out of position which left Chelsea exposed on the counter. The French midfielder tried his best to close down the Man City midfielders but ended up being entirely overrun by them at the centre of the park. The Chelsea talent failed to retain possession in midfield and was quite weak off the ball as well. He is another one of the Chelsea players who doesn’t deserve a first-team start under Maurizio Sarri. He made some poor errors while helping out in defence and was not a significant threat in the opposition half. The Spaniard was selfish in the attacking third of the pitch and never looked like he had a goal in him. The Argentine had a bright first half and was the away team’s biggest threat going forward. However, his impact on the game faded as the match went on. The Belgian made some decent runs in the first half as he was willing to take on the Man City defenders. However, the home side did a job on him which completely neutralised his threat going forward. The Croat failed to make an impact on the pitch after coming off the bench. The English midfielder never gave up despite the heavy scoreline and made some excellent runs in the opposition half. He needs to replace Jorginho in Sarri’s starting XI. Better than Alonso at left-back but he didn’t add much going forward. 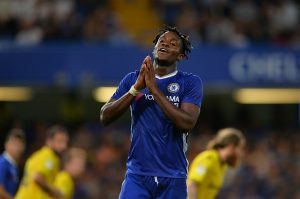 Leeds United Switch Attention To 24 Y/O Chelsea Prodigy: Does He Fit In Bielsa’s Plan? Can Chelsea Win The Premier League On The Evidence Of The First Two Games? West Ham United Make Last-Ditch Attempt To Sign A Chelsea Forward: Good Move For All Parties? 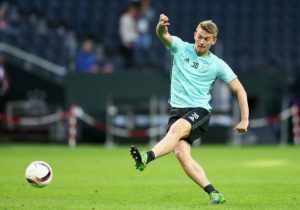 Chelsea Are Eyeing This German Sensation To Add To Their Strike Force: Is He Ready For The Role?